Drs. 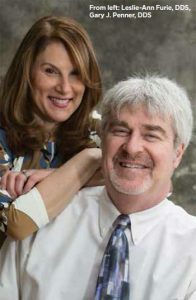 Furie and Penner have practiced periodontics exclusively since 1987. They have lived and practiced in the Marlboro-Manalapan community for the past 25 years. The doctors obtained their dental degrees from the State University of New York (SUNY) at Stony Brook School of Dental Medicine. Drs. Furie and Penner received their Specialty Certificates of Advanced Graduate Study in Periodontics from the University of Medicine and Dentistry of New Jersey (Rutgers University). Dr. Penner held the rank of Clinical Assistant Professor in Periodontics at the University of Medicine and Dentistry of New Jersey where he trained dental students in periodontics. Dr. Furie is active in Remote Area Medical, a volunteer service which provides free dental care to those in need throughout the world. 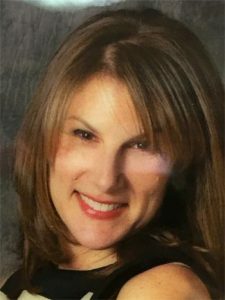 She is a founding member of the Alumni Board at SUNY Stony Brook School of Dental Medicine where she continues to be active. The doctors belong to numerous dental societies, including the American Academy of Periodontology, the Academy of Osseointegration and the New Jersey Society of Periodontists. Both Drs. Furie and Penner have served as directors of the Forum for Advanced Dental Studies. This study forum has been active for over 15 years in providing state of the art continuing education for dentists and their staff in the Central New Jersey area. Drs. Furie & Penner have lectured on periodontics, cosmetic surgery, soft tissue grafting, & regenerative treatments. Dr. Furie and Dr. Penner have each been selected numerous times by New Jersey Monthly Magazine as "Jersey Choice Top Periodontists". They both have also been selected as one of "America's Top Dentists" listed in "The Guide to America's Top Dentists" compiled by The Consumers' Research Council of America. Their practice in Manalapan, New Jersey is limited to periodontics and dental implant surgery. Contact our periodontist office in Manalapan, NJ, to meet with our team. We proudly serve patients in Manalapan and the surrounding communities throughout Central New Jersey.